He could afford but one meat ball. "One meat ball, one meat ball? "You gets no bread with one meat ball. In a later recording, White adds "and no spaghetti" after the first "meat ball" in the last chorus, and many people know the song that way. "'One Meat Ball' was Josh's biggest hit by far," according to his biographer Elijah Wald, "and among the most popular songs of the 1940s folk revival." The Andrews Sisters cut a hit 78 of it, with "Rum and Coca-Cola." Even Bing Crosby sang it. But who knew that "One Meat Ball" got its start at Harvard? George Martin Lane (1823-1897) was a member of the jolliest social clubs as a student at Harvard, yet managed his A.B. in 1846. He studied in Germany with no lingering pedantic effect, earning a Ph.D. from the University of Göttingen, and became professor of Latin at Harvard in 1851. He penned "The Lone Fish-Ball," first published in 1855, while he was living at "Clover Den," bachelor digs at what is now 29 Follen Street in Cambridge. Though a fish ball was a New England delicacy made of fish stock and potatoes fried and usually consumed at breakfast, "The Lone Fish-Ball" is identical to "One Meat Ball" in its existential argument. "Many fables about the origin of this song have been told...," Lane's colleague Professor Morris H. Morgan later wrote, "but I know from Professor Lane's lips that it was based upon an adventure of his own. Arriving in Boston one day after a journey, he found himself hungry and with only 25 cents in his pocket. Half that sum he had to reserve to pay his carfare to Cambridge. With the rest he entered a restaurant, 'with modest face,' and ordered a half portion of macaroni. What followed is described, doubtless with humorous exaggeration, in the ballad itself." During the Civil War, several of Lane's professorial colleagues turned his song into a fundraiser for Union soldiers. Folklorist Francis James Child '46, LL.D. '84, worked it up into a mock Italian operetta, Il Pesceballo, which was performed in Cambridge and Boston, setting the songs of his characters to a pastiche of melodies lifted from grand opera, beginning with a chorus sung to the tune of "La dolce aurora" from Rossini's Moses in Egypt and ending with the air to "Vieni!" from Donizetti's La Favorita. Composer John Knowles Paine arranged the recitatives and poet James Russell Lowell '38, LL.B. '40, LL.D. '84, provided a suitably absurd translation of Child's libretto into English. 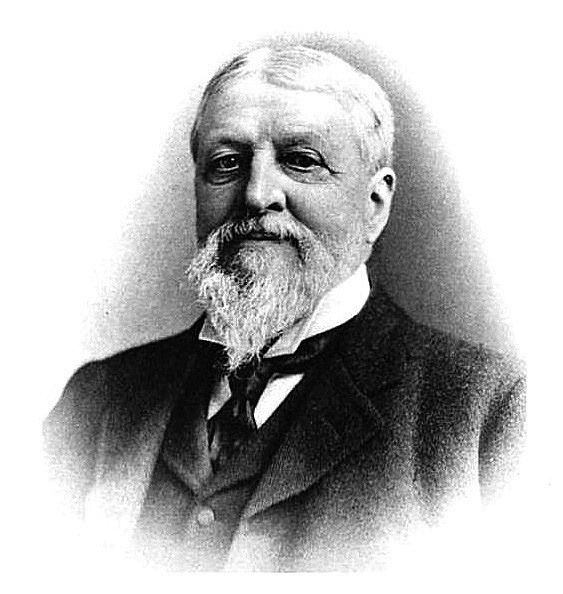 When Lane retired in 1894, as Pope professor of the Latin language and literature emeritus, Harvard gave him an honorary degree and also a pension--the first ever bestowed by the University on a faculty member. The unexpected cash, Lane declared, relieved him from all pecuniary cares for the rest of his life.